For the Human Race, there are four, primary, types of blood. They are A, B, AB, and O. The classifications are derived from the antigens of a person’s blood cells – antigens being proteins that are found on the surface of the cells and which are designed to combat bacteria and viruses. Most of the human population have such proteins on their cells. They are the Rh positive percentage of the Earth’s people. Within the United States, current estimates suggest that around 85 percent of all Caucasians, roughly 90 percent of African Americans, and approximately 98 percent of Asian Americans are Rh positive. The small percentage of the U.S. population (and that of the rest of the world, too, it should be noted) which does not exhibit the relevant proteins falls into a very different category, that of the Rh negatives. Why one particular group of people should have blood that is so incredibly different to that of just about everyone else, is a matter of deep controversy. It is an issue that has led to the development of an astonishing theory: that in the distant past, visiting extraterrestrials subjected early, primitive, humans to advanced gene-splicing and cell–manipulating techniques; ostensibly to create a slave race. In doing so, they gave birth to the Rh negatives. To demonstrate how incredibly different the Rh negatives are to the rest of the world’s population, we only have to look at the matter of pregnancy. For a pregnant woman who is Rh negative, the hazards can be considerable and dangerous. If a woman who is Rh negative is made pregnant by a man who is also Rh negative, the problems are non-existent and there is no need for concern: both individuals are wholly compatible with one another, the fetus will develop in normal fashion, and the child will be born Rh negative. If, however, the father is Rh positive and the mother is Rh negative, that’s where the problems can begin and the results may prove to be very different – and tragically so, too – as the baby will be Rh positive. It is this latter issue that gets to the crux of the problem. As incredible as it may sound, the blood of an Rh negative pregnant woman can be completely incompatible with the blood of an Rh positive baby she is carrying. Such a situation can very often provoke the mother’s own blood to produce potentially lethal antibodies which are designed to attack the fetus’ blood, if and when the former is exposed to the latter. In other words, the positive baby is perceived by the mother’s negative immune-system as something hostile, something not quite as it should be. For all intents and purposes, the unborn child is considered something alien and something to be gotten rid of at the earliest opportunity possible. More disturbing is the fact that the more times a woman becomes pregnant, the more powerful and prevalent the deadly antibodies become. In short, the mother’s body finds ways to make the process of trying to kill the fetus ever more powerful, swift, and effective with each successive pregnancy. It’s almost as if there is something deeply ancient and non-human encoded in our DNA that sees positive and negative as being acutely different to one another, and never intended for unification. That may be exactly the case. 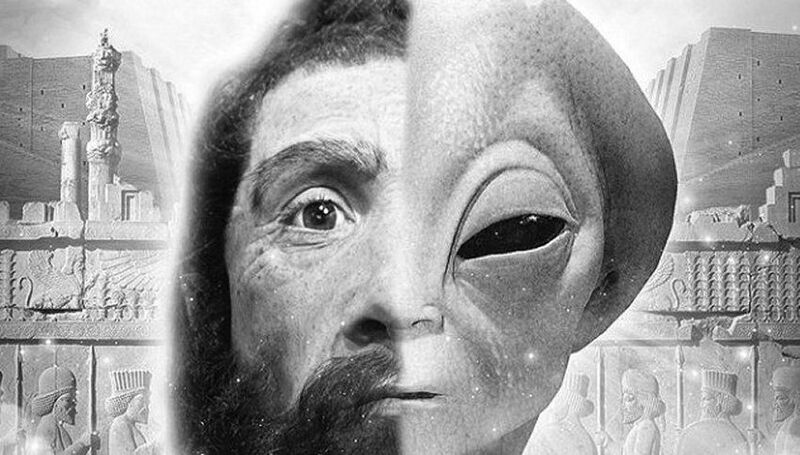 If we today – and particularly so the Rh negatives – are the product of extraterrestrial manipulation, then who, exactly, were the beings that decided to play god with the Human Race’s earliest forms? Why were they so intent on creating new and radically different kinds of people? Where did they come from? Are they still amongst us? They are questions that lead us to a legendary, powerful body of entities that have become known as the Anunnaki. They are also questions that take us to the heart of ancient Sumerian cultures, which can be found in what, today, is southern Iraq, and which, historians and archaeologists believe, was first settled at some point between 5,500 and 4,000 BC. According to Sumerian lore, more than 400,000 years before a huge deluge devastated the Earth and killed untold millions, this mighty race of legendary people came to our planet from the heavens above. During their time here, they brought some form of stability, and even society, to what were, originally, extremely primitive human tribes, some of which ultimately became the Cro-Magnons. That was not, however, the original agenda of the Anunnaki. The primary goal of the Anunnaki was to genetically alter primitive humans to create a robust and strong entity that, effectively, amounted to nothing less than a slave race, one designed to do the bidding of their extraterrestrial masters – including mining the Earth for its supply of precious and priceless gold. When the Anunnaki finally left the Earth, they left behind them an astonishing legacy: a new form of human, one radically different to the rest: the Rh negatives. And they still live today. The RH negative strain runs through the British Royal Family, something which has provoked controversial assertions that the Royals are not all they appear to be. An entire subculture exists suggesting the Royals are directly descended from an ancient order of human-like extraterrestrials that are the true, secret rulers of our planet. Is there something in the genetic make-up of the Rh negatives that makes them born leaders, powerful figures, and perhaps not unlike the legendary “heroes of old” and the “men of renown,” as described in the pages of the Bible (and almost certainly Rh negatives, too)? Do the Rh negatives amount to an underground army of human hybrids being carefully, and secretly, nurtured for reasons that might be nothing less than downright sinister and deadly? If, one day, it is proved that a small percentage of the Human Race is not entirely human after all, will we see a backlash against the negatives? Will there be witch-hunts? Might there be calls to have the negatives isolated from the rest of society? These are the kinds of intriguing and inflammatory questions that the many and varied mysteries of the Rh negatives provoke.